This Tuesday, April 16th, is National Orchid Day. 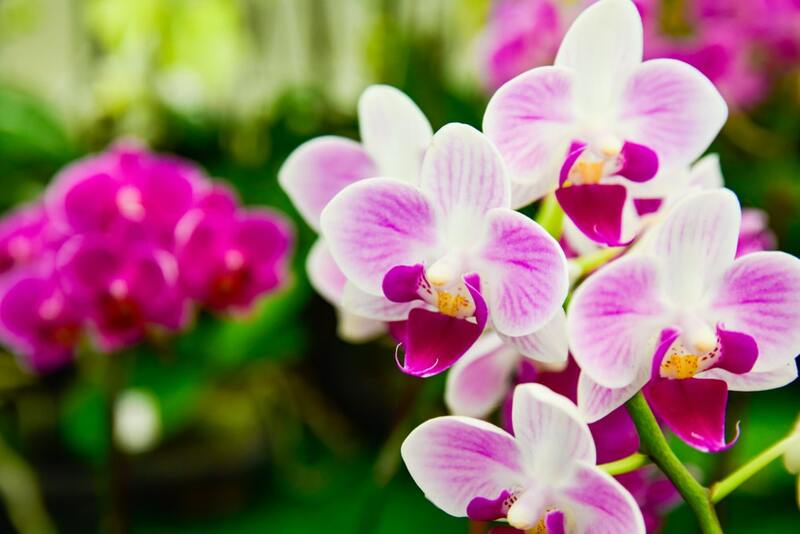 In honor of National Orchid Day, here are some interesting facts about these beautiful and exotic flowers. Orchids are the single largest family of blooming plants in the world with over 25,000 naturally occurring species and well over a hundred thousand man-made hybrids. Orchids are also the most highly evolved family of blooming plants. They are native to every continent in the world with the exception of Antarctica. Orchids first became popular in Europe when a young horticulturist named William Cattley was intrigued by strange bulbous stems he found used as packing material in a shipment of tropical plants from Brazil. He potted the stems up and in the fall of that year, the plant bloomed with beautiful large purple flowers. This orchid was named Cattleya after William Cattley, Labiata after the ruffled labellum or “lip” of the flower, Autumnalis after the season in which it bloomed. Unfortunately, this started a mania for orchid collecting from which some tropical forested areas have never recovered. You see, the favorite method for collected these tree-dwelling plants was to cut the tree down just to pluck the plants from it. Many people believe that orchids are picky, finicky or hard-to-grow. Growing orchids is just like growing any other plant successfully—it’s a matter of finding out the requirements and meeting them. Some orchids may have light and/or temperature requirements that may be difficult for you to meet, but then a citrus tree or ficus tree may be difficult for you if you don’t have that sunny spot they crave. We always carry a great selection of orchids. Come by and let us help you select the perfect one for you. Do orchids need to be planted in special pot with holes for air in the sides of the pot? While orchids do need very good drainage, they do not need special pots with air holes in the sides. As a matter of fact, a basic inexpensive terra cotta (clay) pot is just perfect–clay is porous, so allows great air circulation. What is important is to use a special orchid potting medium that is loose and airy. When in doubt, you can always bring it in to me and I’ll repot it for you.